Manila Times columnist, Rolly Reyes, braved himself against the wave of opposition in order to defend former President and now House Speaker Gloria Macapagal-Arroyo from baseless claims of power grab that she committed against now-former House Speaker Pantaleon Alvarez. As the seemingly pro-opposition ABS-CBN would call it, a “House coup” but in reality Reyes slams this accusation of power grab with facts that says otherwise. As the columnist perceives the situation, the anti-government union is surely in a state of disarray and panic by the unexpected ousting of the former House Speaker. An unprecedented play of events that may be related to Presidential Communications Operations Office Assistant Secretary Mocha Uson’s mentioning of such a surprise. Back to the claims of “power grab”, Reyes argues on this possibility when 184 congressmen were pushing for her to take the stand. By the way, only 12 congressmen abstained against this decision. 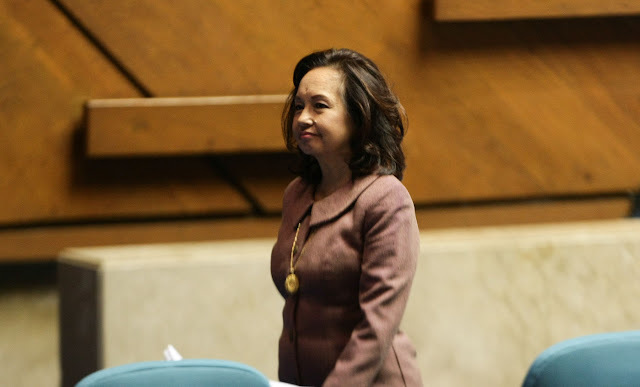 Reyes also stated in his article (posted by retired general Abe Purugganan on Facebook) that Arroyo was subject to a number of denunciations. “She just kept quiet when she was removed as Deputy Speaker for standing her ground as pro-life advocate. 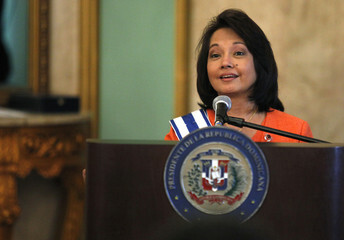 Did we hear her rant or complain against Alvarez’s move?” the columnist pointed out. 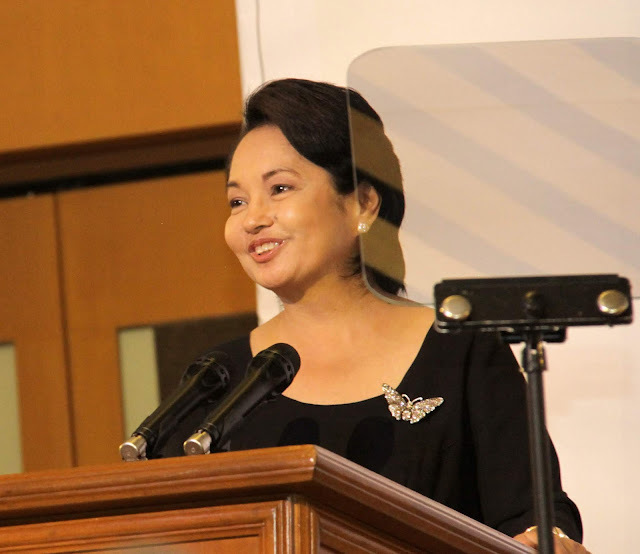 When it came to it, when GMA was given the position as the President of the Philippines during a time where former President Erap Estrada was impeached due to plunder charges, Arroyo did not ask for it, it was her right as Estrada’s Vice President. Not only that, the seat of Presidency was left empty and left the nation vulnerable, who else would stand up at such a time? GMA was also supported by the Catholic Bishop’s Conference of the Philippines, former Presidents Corazon Aquino and Fidel Ramos, Angelo Reyes, Orly Mercado and Supreme Court Justice Hilario Davide. So as Reyes asks, is this a power grab? Manny Villar and the House of Representatives filed the impeachment against Erap, was this the workings of the alleged power grabber? Was Erap’s friend Chavit Singson’s exposé of the former President’s jeuteng anomalies also her work too? Erap was going to be brought to Bilibid Prison but who stopped that? Wasn’t it her? Is this the works of a power grabber? This is the questions one must ask since there will always be a bad light that would be taken as the spotlight when it came to Arroyo since she’s incredibly righteous and as we can see, merciful. In reality and as Reyes stated, it was GMA who was subject to power grabbing by the infamous Hyatt 10. She, with late Chief Justice Renato Corona, were the ones being vilified during her Presidency as they were planning to give the Hacienda Luisita farmers land that they so solemnly deserve by dividing the Aquino-Cojuangco property. is this truly a power grab or is this just bitter propaganda against the government? The opposition is in panic. There is always a day of reckoning. They cannot put a good woman down. Power grab? With 184 congressmen (with only 12 abstaining) endorsing her to replace Alvarez? Did she ask for it? Of course not. She just kept quiet when she was removed as Deputy Speaker for standing her ground as pro-life advocate. Did we hear her rant or complain against Alvarez’s move? She just continued her legislative work focused on filing bills that could better the lives of the less fortunate, plight of women for equal access and more care for older citizens. It was Cardinal Sin/CBCP, Cory Aquino, FVR, Angelo Reyes, Orly Mercado and SC Chief Justice Hilario Davide who helped install her as President. Remember that she was VP then and the rightful successor when Estrada left Malacañang. The SC ruled in PGMA’s favor that with Erap leaving the palace, he made the position vacant. And you call that power grab when everything was done in accordance with the law? Erap lambasted her when he was found guilty but it it was PGMA who granted her clemency when he was about to be transferred to Bilibid Prisons. Was it her who influenced Manny Villar and HOR to file an impeachment case just to grab power? Was it her who pressured Chavit to expose Erap’s jueteng anomalies just to grab power? When she assumed the presidency it was SHE who was the subject of a power grab as plotted by the same group of ruling elite assisted by the infamous Hyatt 10. So what power grab are we talking about here? After her presidency, she and CJ Rene Corona were the ones villified and persecuted for giving back Hacienda Luisita to the tillers who are the rightful owners. Is abiding by majority’s rule now termed as a power grab. When the Senate leadership changed from Koko Pimentel to Tito Sotto - was Sotto’s assumption to office branded as a power grab? That malicious interpretation of a power grab is the most vicious of all as it grabs our power to think rightly by distorting facts due to devilish political motives.